Huxley Community Park is located within Gabriola's village core on North Road between the Folklife Village shopping centre and The Commons, across the street from the Gabriola Professional Centre. The park property is 0.8 hectares (2 acres) in size and has two tennis courts, a sport court, a small unofficial skateboarding area, and a ten-car parking lot. There are trail connections leading to the Folklife shopping center as well as to The Commons. Huxley Park was created in 1987, as a result of the development of Folklife Village. The Gabriola Recreation Commission Association (which ultimately became the Gabriola Island Parks and Recreation Commission and then the Huxley Park Sports Association) leased the green space from Brenda Huxley and coordinated the construction of the tennis courts in 1989. The sport court was built by volunteers and completed in 1994. The Huxley Park Sports Association, with help from the Ball Hockey club continued to monitor and maintain the Park until it was donated to the Regional District of Nanaimo as a community park in 2011. Park development and maintenance is now funded through the Regional District of Nanaimo Electoral Area 'B' (which includes Gabriola, DeCourcy and Mudge Islands) Community Parks function. A conceptual master plan was completed in 2014 which identifies a long-term vision for the Park, which includes the future location of the Gabriola Skatepark. A new playground space with equipment for both the 2-5 and 5-12 age groups was completed in November 2017. This initiative was made possible through contributions from the Gabriola Lions Club and by the Community Fund for Canada's 150th, a collaboration between the Nanaimo Foundation, the Government of Canada, and extraordinary leaders from coast to coast to coast. 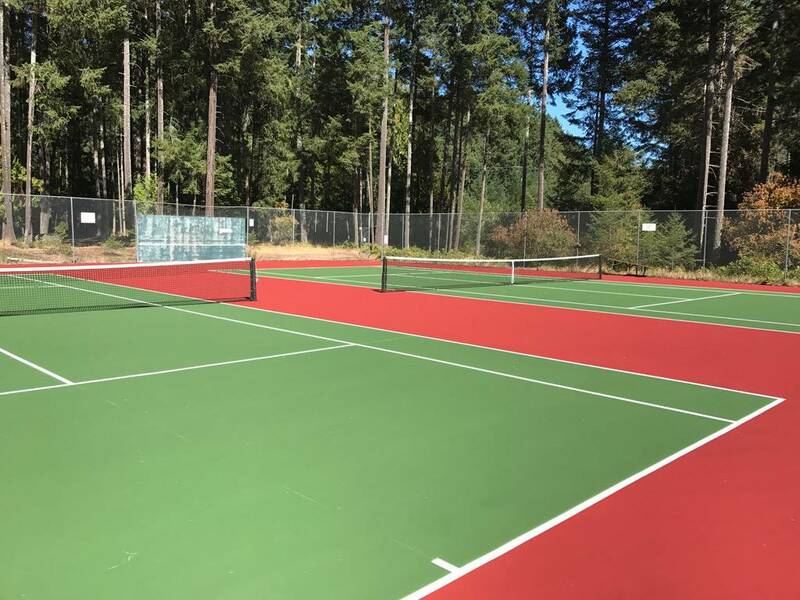 The tennis courts were resurfaced in September 2017 and a new dasherboard system around the sports court was completed in December 2017. 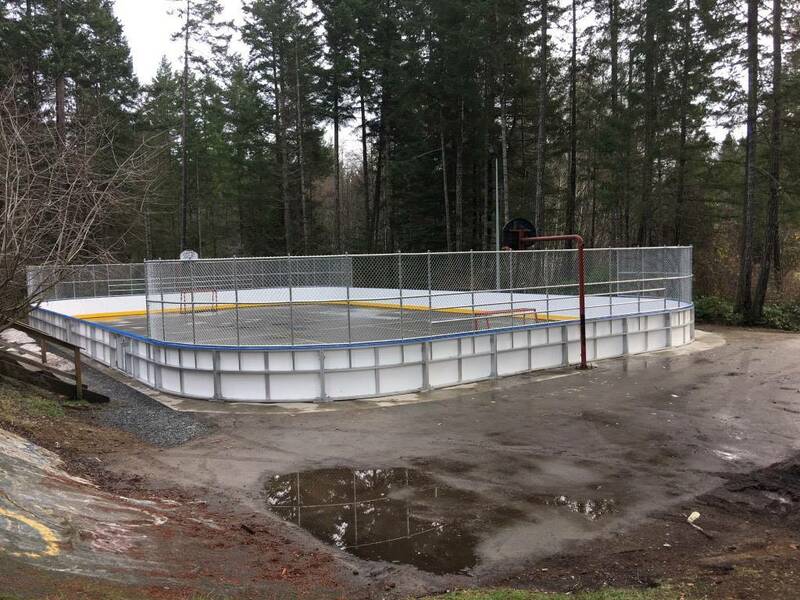 This initiative was made possible through contribution from the Gabriola Ball Hockey Association and Western Diversification Canada's Canada 150 Community Infrastructure program.